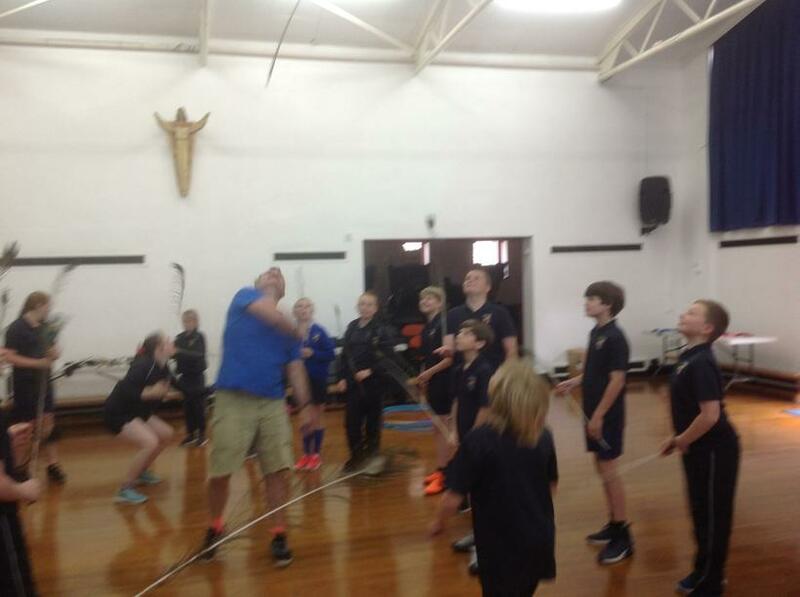 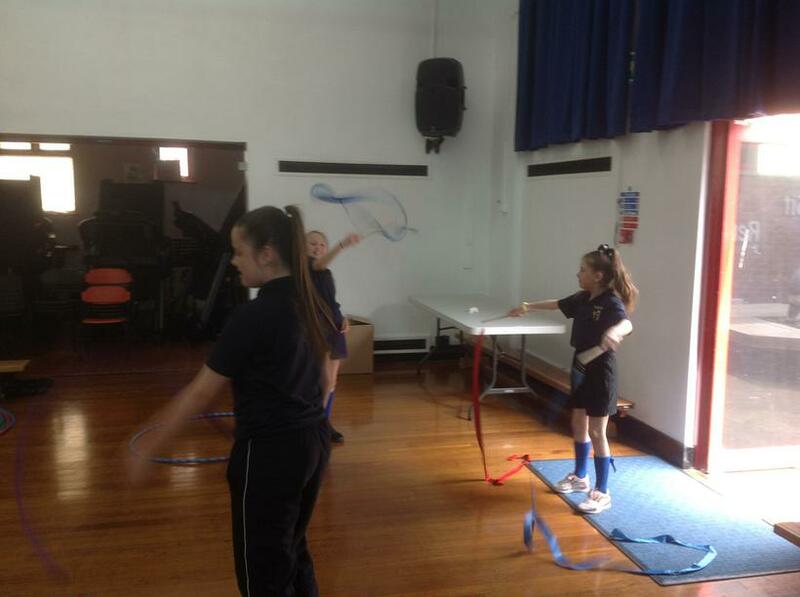 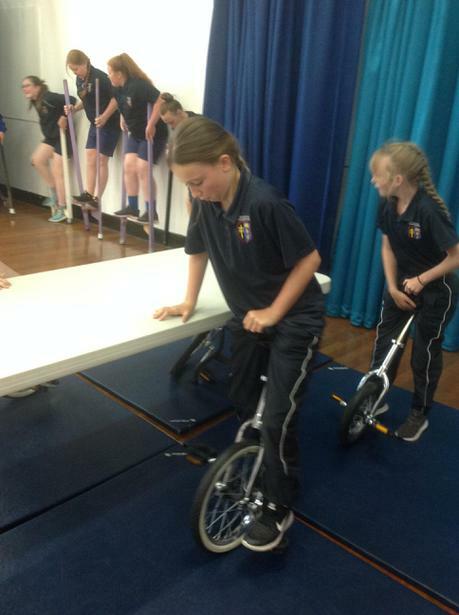 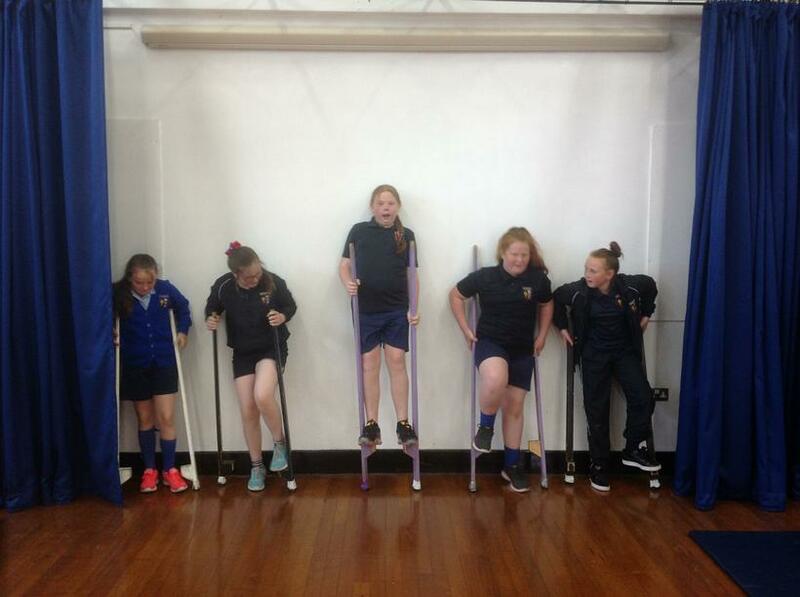 Today Year 6 turned into a circus! 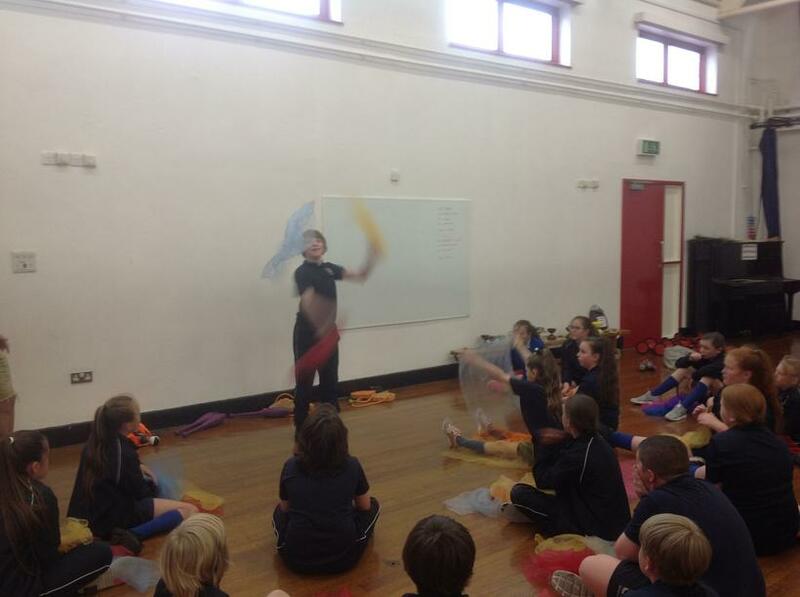 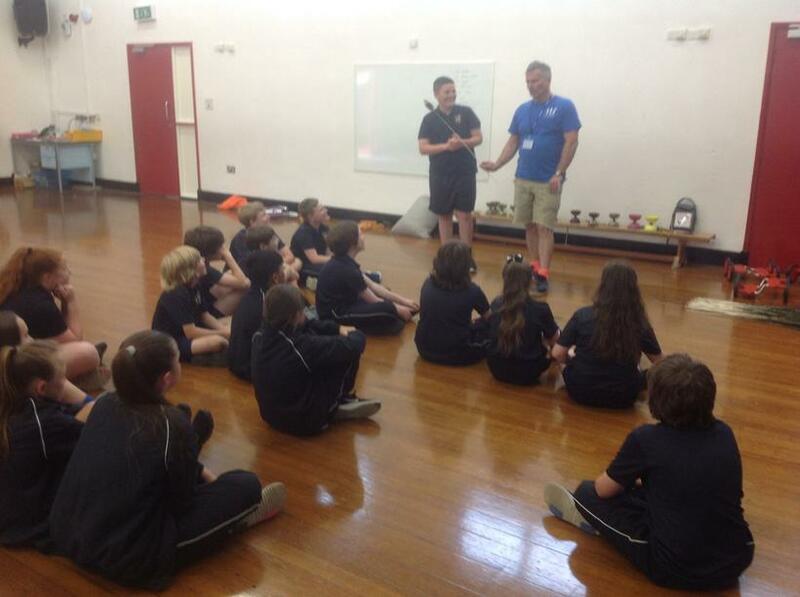 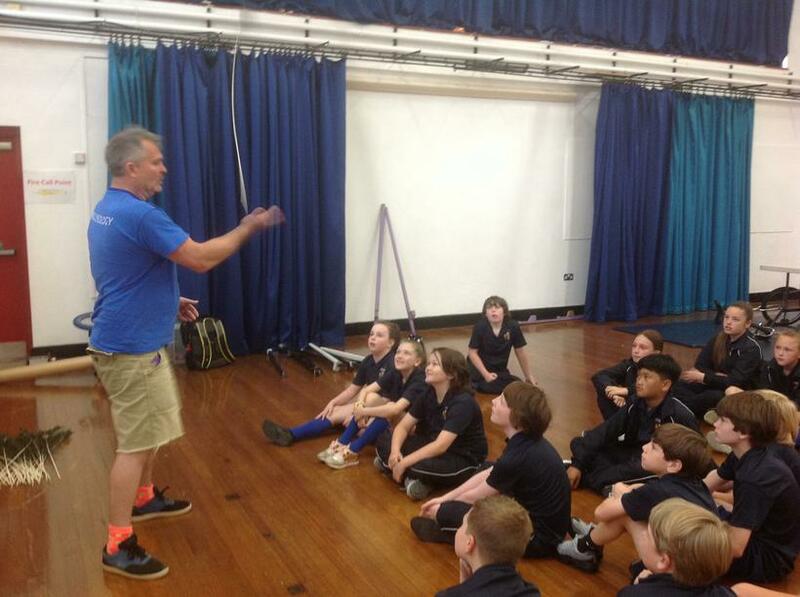 An expert in 'Circusology' visited our school to help us hone in on our circus tricks and stunts. 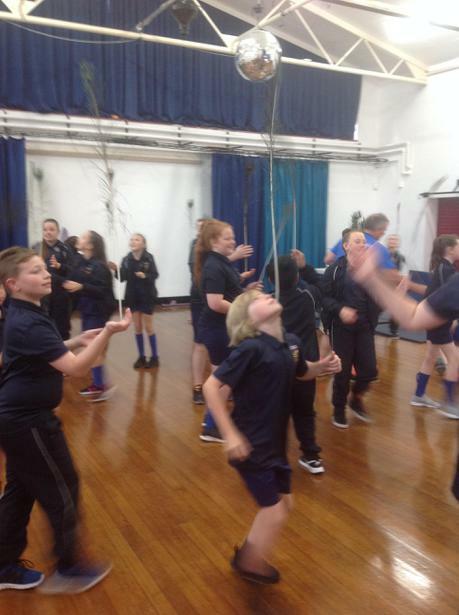 Firstly, we started off by learning how to balance a peacock feather on our hand and then our chin. 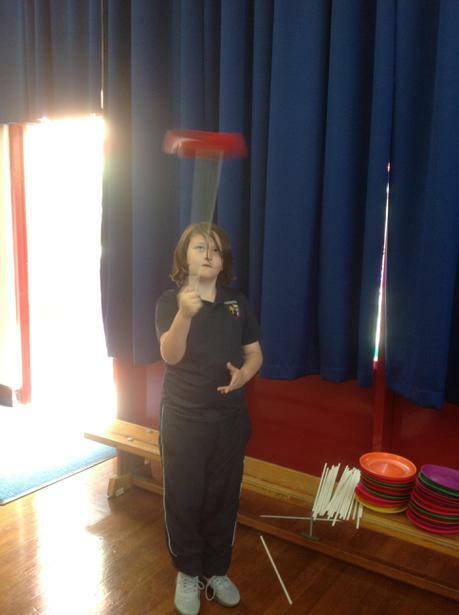 The trick was to keep your focus at the very tip of the feather so that you could judge if you had to move your body to help maintain the balance. 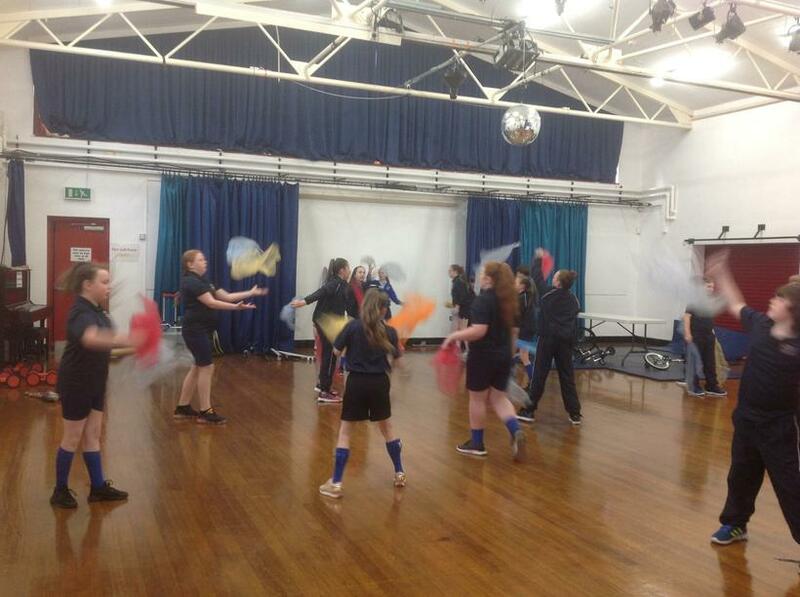 Next, we practised our juggling skills. 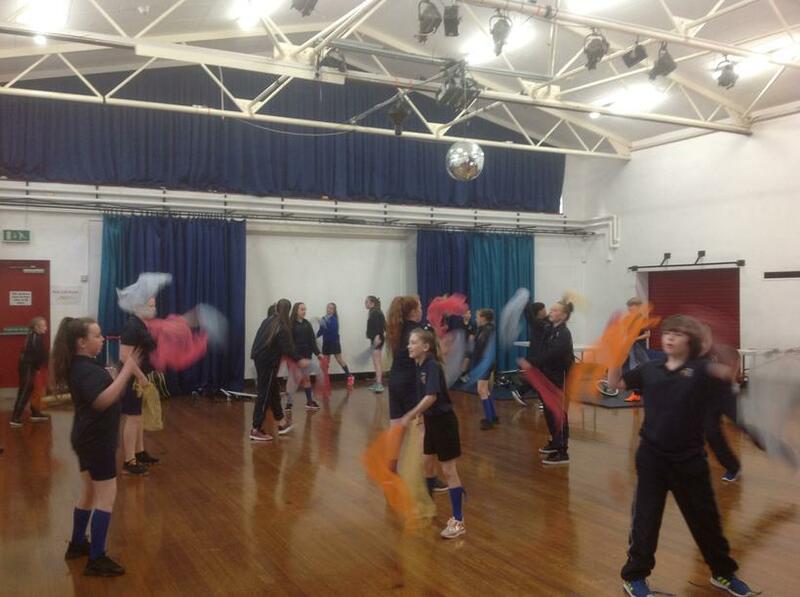 We started off with pieces of fabric since they were lighter and therefore stayed in the air for longer. 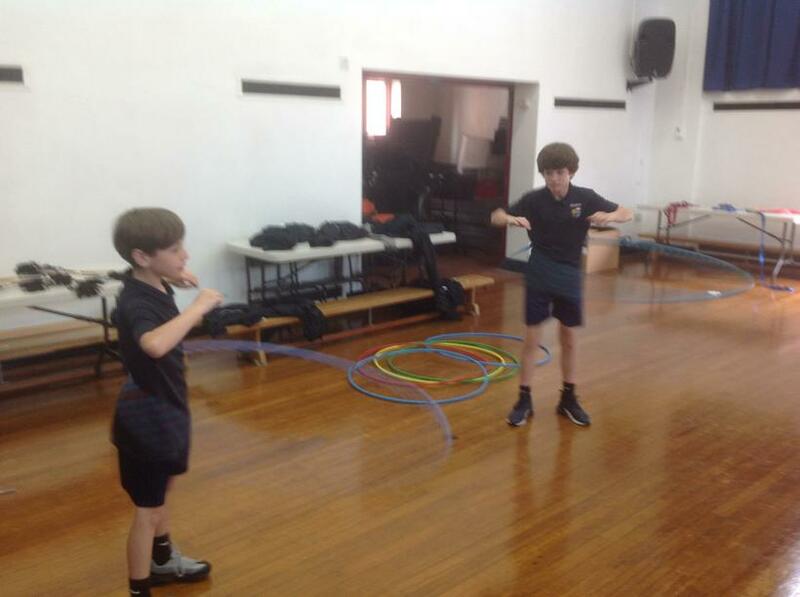 Initially, we started with two pieces, and once we had mastered that, we went on to using three. 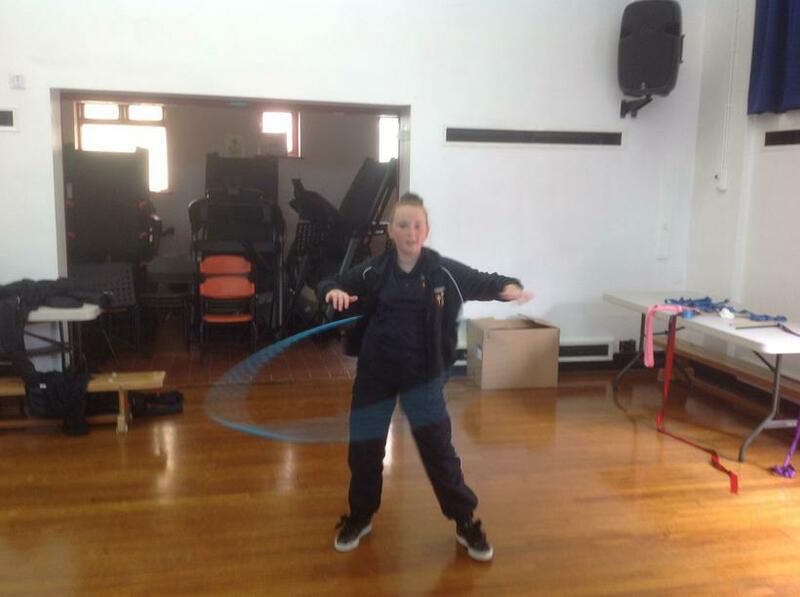 It was quite tricky to keep the rhythm, but with practice and perseverance some of us managed to master this tricky skill. 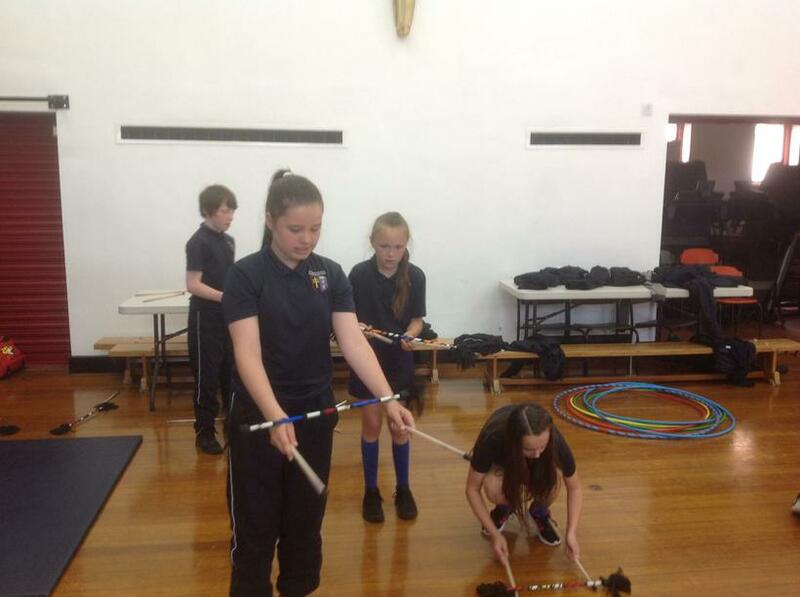 Finally, we finished with a carousel of circus skills. 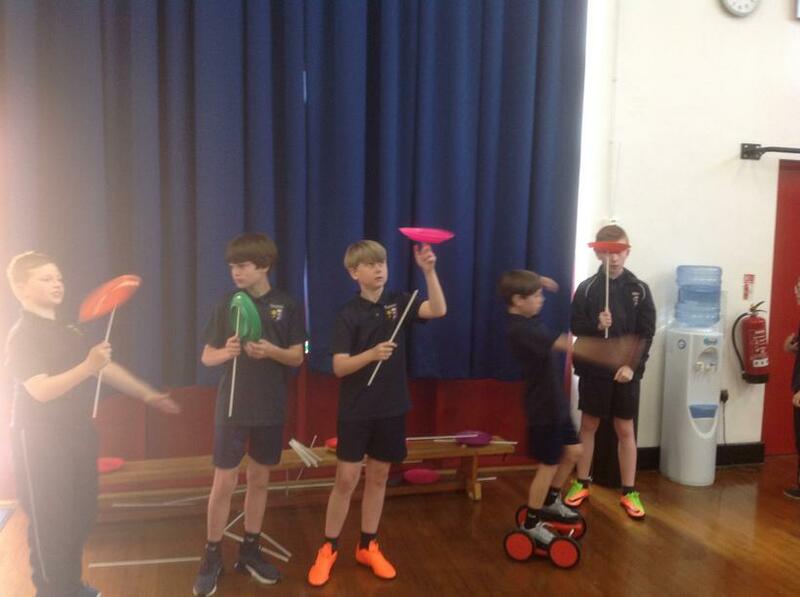 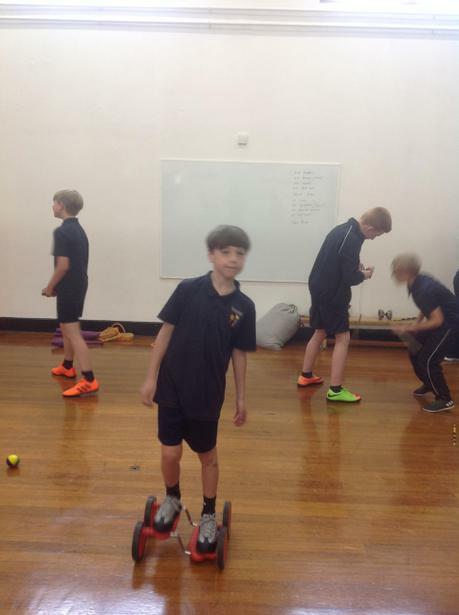 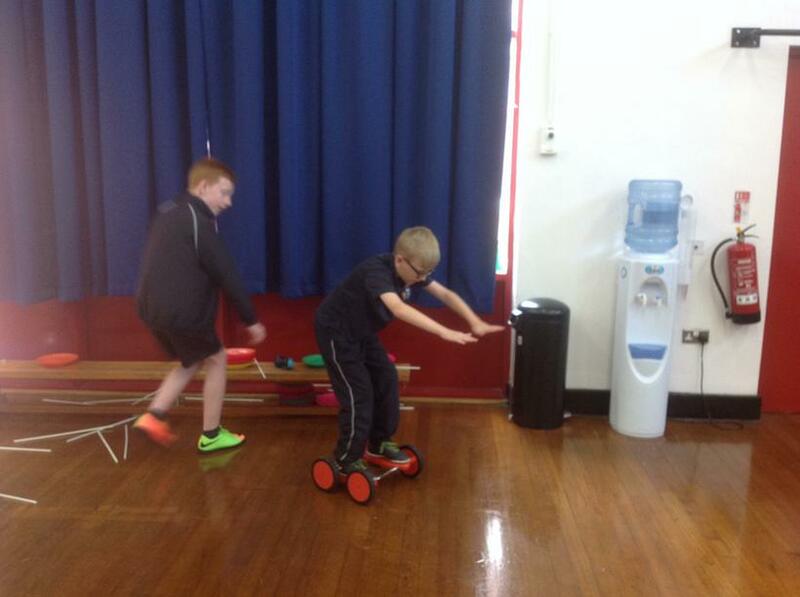 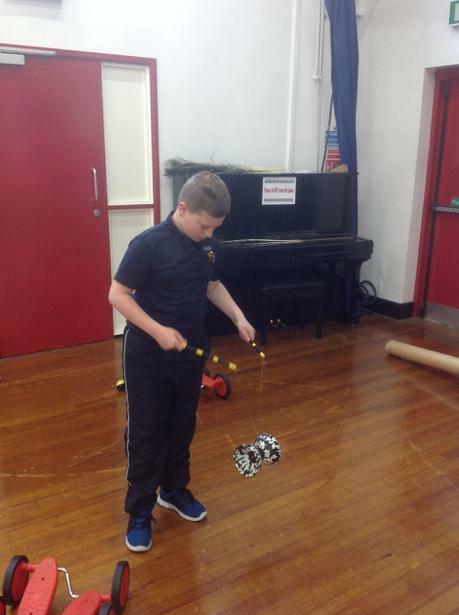 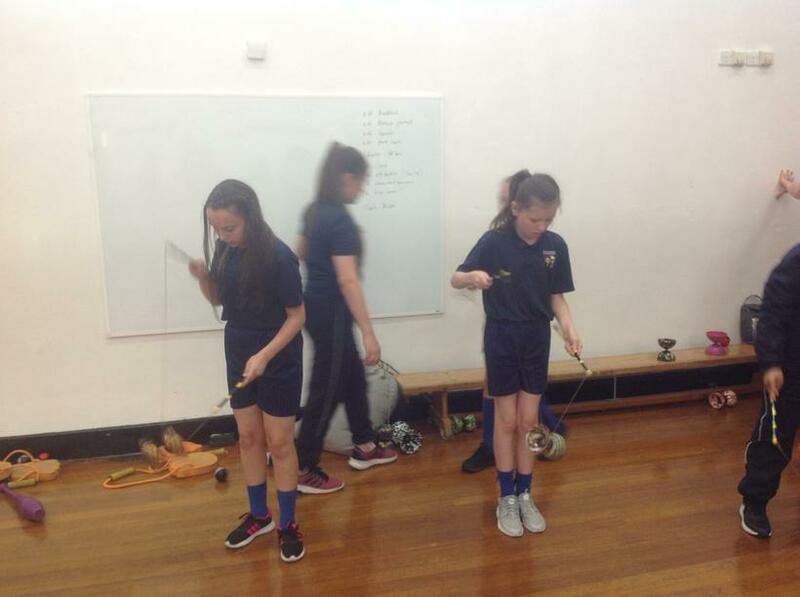 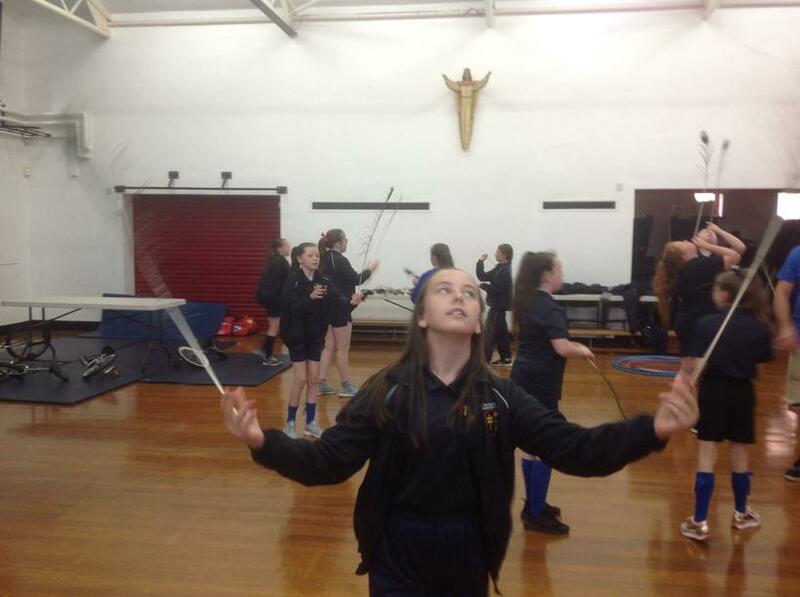 From unicyling to juggling with batons; diabolos to plate spinning; stilt walking to rhythmic gymnastics with a ribbon: we all tried our hand at these new, exciting skills, which required lots of focus, control and patience! 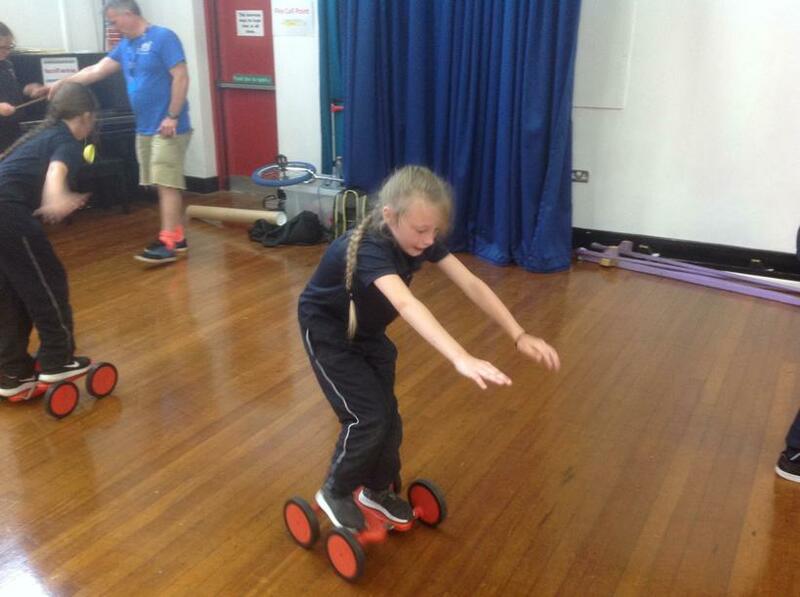 We had lots of fun learning these new skills and now understand the perseverance, dedication and patience needed for the performers to succeed.